Identifying your bank’s omnichannel, customer experience, new ideas, and solutions is a huge undertaking! Project Catalyst is designed to provide banks with new and exciting means to meet the complexities and challenges brought about by the velocity of change in technology and the behavior of banking customers and consumers. Project Catalyst offers mid-tier, community, and regional banks, a unique environment to discover and inspire business strategies that will serve as a catalyst for change. How we get your bank there is through Catalyst 4-D™ Design Thinking method, a unique approach helping banks get to the heart of new ideas and opportunities by understanding the needs of their customers. Call us to learn more about Project Catalyst, 4-D™ and help we provide to bring forth new ideas, opportunities, and solutions. Project Catalyst is a forward-thinking research lab created to serve banks and fintechs. We created a unique design thinking approach for banks known as Catalyst’s 4-D™ to aid in discovering new ideas, opportunities, and solutions that will help stimulate change and transformation your business’ present and future states. 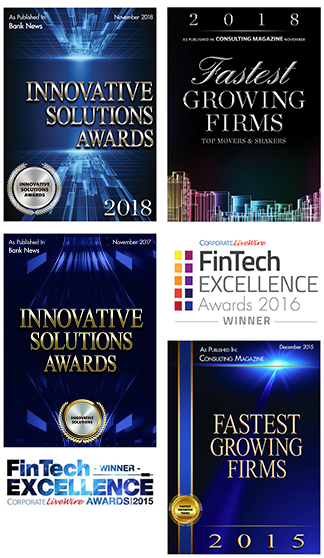 Project Catalyst provides a unique, stimulating, and engaging approach to generating new ideas and innovative thinking helping banks and fintechs deal with forces of disruption and transformation and to produce a roadmap for their future. Catalyst 4-D™ is a Design Thinking process that helps identify fresh and future forward opportunities and ideas for financial institutions. 4-D™, Catalyst Design Thinking method, puts your customers at the heart of our process, you will empathize with your customer’s situation, while we guide you to use your creative minds to envision solutions. Why use 4-D™, Catalyst Design Thinking? Design thinking lets us talk about the ideas and speculate about the future. Sometimes the need to over analyze could lead to paralysis of the idea, then the idea gets scrapped without ever giving it a try. Design Thinking is a practice rather than theory. Design Thinking is used to differentiate and respond to trends and customer behavior. The use of Design Thinking gives a competitive advantage that will impact the bottom-line and drive business growth. Therefore, Design Thinking is effective for banks – helps to shake things up, bring an open mind to problems solving, explore opportunities that will transform and change the present condition of the Bank. Our 4-D™ method is a protocol that combines divergent and convergent thinking for solving problems and discovering new opportunities. Solving problems is the main part of Design Thinking, and the problem is relative to a human condition. Banks are in the business of solving real human problems which revolve around lending, transfer, savings and deposit of money. Accelerated pace of technological change and changing customers’ needs are outpacing the banks’ ability to keep up. 4-D™ Design Thinking is the protocol that CCG Catalyst will use and uncover new opportunities to solve the bank’s most pressing problem with is smooth customer experience. Working together, we take a co-creative and collaborative approach to the process. Your organization will be involved in at every phase of 4-D™ approach. Discovery: Illuminate your existing and future state and the insights from your existing customer research and resources, and identify any gaps in customer knowledge. Define: Taking the observations from the discovery and codify the findings. Diverge: Conduct a facilitated and collaborative brainstorming session to identify ideas that will be turned into solutions. Defend: Test new solutions with a community of customers and validate the solution. What to use 4-D™ for? Research is key to staying in touch with business needs and the needs of customers. Project Catalyst provides primary and secondary research and analysis to continue to help adjust the business strategy to make the changes that are occurring both internally and externally for banks. The following are the services available through Project Catalyst. Primary research is offered to clients who want to learn more about the changing needs of the banking customer, discover never considered before opportunities, and investigate means to banking. Secondary research is offered on topics that include current changes in business of banking, financial technologies, and operations and will look ahead at behavior, economy, and environment. Project Catalyst publishes research reports on the state of banking, changes affecting the banking industry, and keeps close watch on growing number of fintech firms and fintech categories. The team of researchers and analysts author blog posts, articles, and research papers that discuss innovation, transformation, and disruption which provide knowledge from research gathered on the industry. Provide education on forward-thinking models for the business of banking. Create an environment that will cultivate ideas for the business of banking. Engage the audiences with provocative topics to encourage discussion. Help bankers out of their comfort zone in a fun, non-threatening way and in a creative environment. Facilitate introductions between banks and fintechs. Out of the Catalyst Summit, attendees will leave with ideas to jump-start their business strategy to re-imagine their business. Catalyst Workshop is designed as a quarterly check-in for clients who have been through the Catalyst Lab. CCG Catalyst consultants provide clients with advice and help clients keep on track with the execution of ideas from the lab. Catalyst consultants review the progress and offer strategic advice.